SPRINGFIELD, Mo. -- Two outs away from being shutout on closing day for the first time in five years, a familiar bat delivered. John Nogowski erased a Drillers shutout with a powerful blast to left with an out in the ninth, earning a mini shower upon his return to the dugout. Nogowski's homer was the lone on-field highlight in Springfield's 6-2 loss to Tulsa in Monday's season finale in front of a Labor Day crowd of 4,393. Tulsa starter Mitchell White opened with six scoreless innings, limiting the Cardinals to four hits and striking out four. D.J. Peters got to Cardinals lefty Evan Kruczynski in the first with his league leading 29th homer of the season, a two-run shot over the manual scoreboard in left that put the Drillers up 2-0. Springfield turned an odd 8-5-4 double play to end the fourth on the same play that saw Zach Reks drive D.J. Peters and Jacob Scavuzzo home with a single to center. With Scavuzzo scoring, Chase Pinder gunned out Mike Ahmed at third, and then Evan Mendoza's throw to Andy Young at second caught Reks. Kruczynski lasted five innings, striking out five while allowing four runs on five hits and four walks. It was the first time he's failed to pitch into the seventh since being assigned to Springfield on July 27. Scavuzzo led off the ninth with a solo homer and Reks added another two batters later to put Tulsa up 6-0. The Drillers are set to play the Arkansas Travelers in the Texas League North Division Championship Series. Game 1 of that series is set for Wednesday at 6:10pm with Arkansas hosting. The loss was the first in a season finale for the Cardinals since losing 8-4 to Tulsa on September 2, 2013. Springfield beat the Drillers in the season's final game from 2014-17. Monday's finale crowd of 4,393 put Springfield's final 2018 attendance total at 333,791, the highest total since the 2015 season. 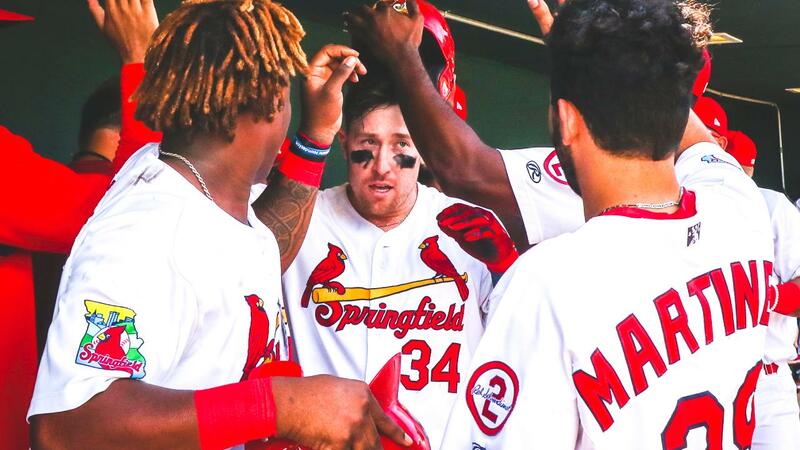 Opening Day 2019 is set for April 11, 2019 at Hammons Field with the Cardinals hosting the Northwest Arkansas Naturals. Visit www.SpringfieldCardinals.com and click on REDAccess to learn about our revolutionary new Membership program.